Collection donated to the University Archives in May 2012 by C. Sue D. Laughran (2012:022). Lee Wallace Derrer obtained his degree as a Veterinary Medical Doctor from the University of Pennsylvania in 1943. While at the University of Pennsylvania, he was the president of his 3rd year veterinary school class and a member of the Alpha Psi fraternity. After graduating from the University of Pennsylvania, Dr. Derrer served as a captain in the Army Veterinary Corps. From 1946 until 1974, he practiced veterinary medicine in Mount Carroll, Illinois with his father, Dr. Wallace L. Derrer. On December 23, 2001, he died at the age of 80 in Orland Park, Illinois. 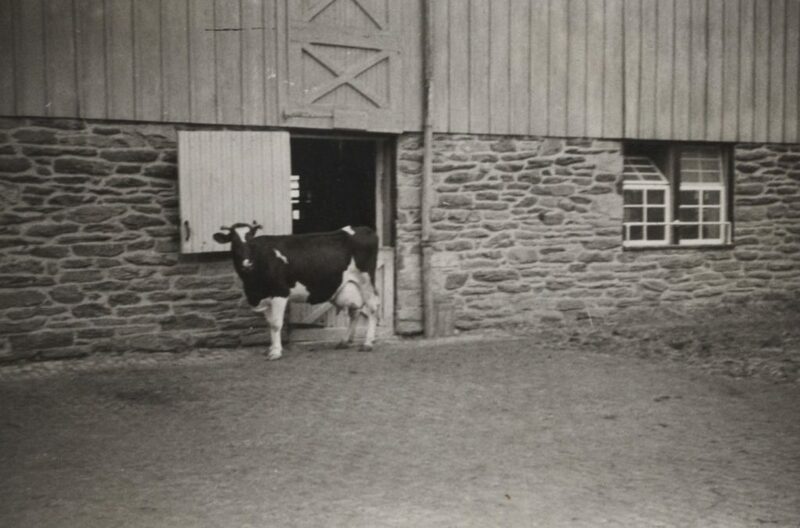 This collection contains 161 photographs related to the University of Pennsylvania and farms in the Philladelphia area used for veterinary instruction from 1931 to 1943. Dorms Exterior, 16 photographs, 1937-1940 and n.d.
Dorms Interior, 5 photographs, 1940 and n.d.
Football Game, 12 photographs, n.d.
Street Scene, 8 photographs, n.d.
Bolton Farm, 11 photographs, 1941 and n.d.
Erdenheim Farm, 5 photographs, 1941 and n.d.
Kirkwood Farm, 11 photographs, n.d.
Sheep Farm, 1 photograph, n.d.
Valley Farm, 12 photographs, n.d.